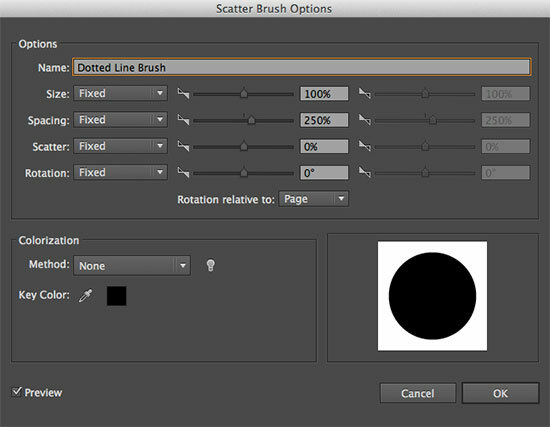 To make perfectly circular dots on a line, you need to create your own brush. This is a very easy thing to do. Using the Ellipse Tool, press SHIFT on the keyboard to constrain proportions and drag on the pasteboard to create your circle. 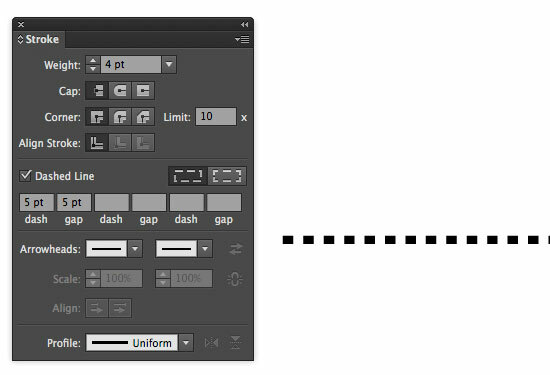 Open the Brushes Palette - Window/Brushes (or F5). Drag the circle into it - and you'll be presented with a dialogue box asking if you would like a Scatter Brush, Art Brush or Pattern Brush. Select 'Scatter Brush'. You can make all sorts of changes here - such as making your dot randomly spatter along a path - go nuts. However, for the purposes of making a simple dotted line, we're just going to change the Spacing setting - to 250%. This can be whatever gap you would like between each dot - you can refine it later. Click OK.
You now have a dotted line with perfectly circular dots. 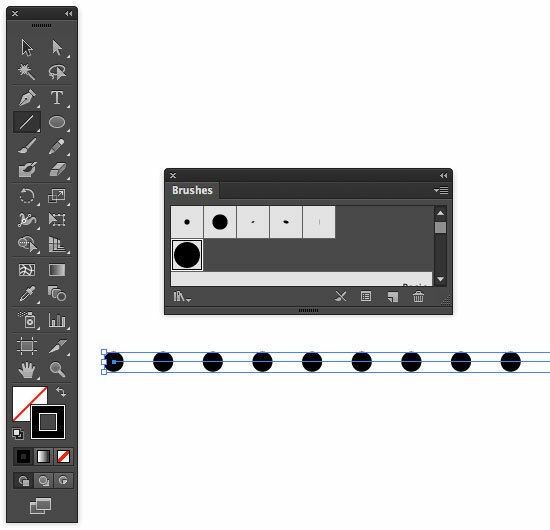 If you'd like to edit the brush, double click on it in the Brushes Palette and tweak the settings. When you click OK, you'll be asked if you would like to apply the changes to all existing lines	"That brush is in use and some strokes may have overridden its options. 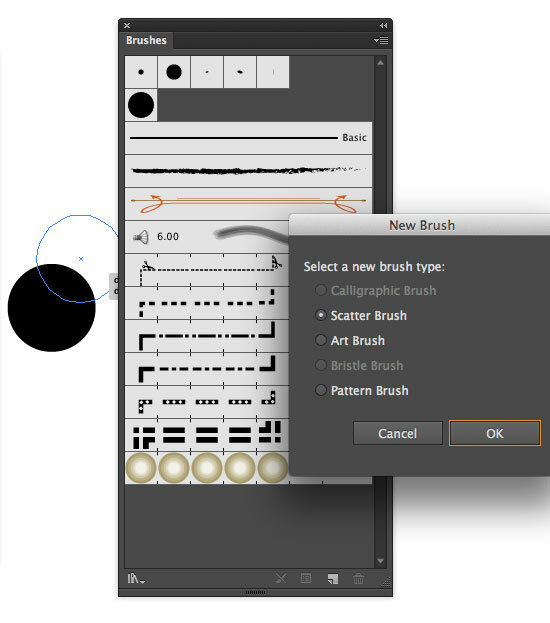 Do you want to apply the changes to existing brush strokes?" If you do, click 'Apply to Strokes'. If not, click 'Leave Strokes'. 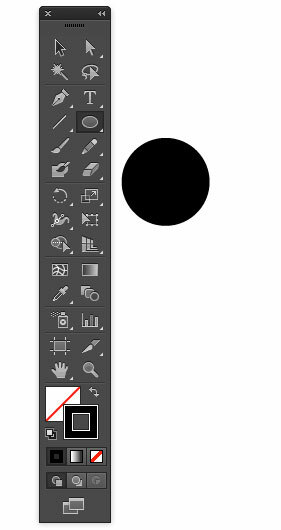 And that is how to make a dotted line in Illustrator.